Yes, this is based on a true story. 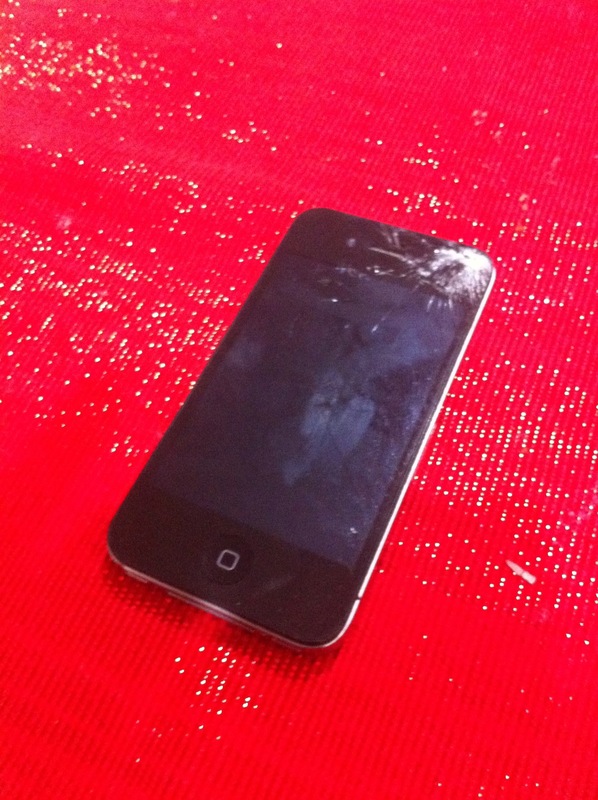 Greg took his iPhone 4S with him to Rugby 7s this weekend. Greg enjoyed himself in the festive atmosphere of the tournament. Greg looked at his iPhone the next morning and it looked like the picture at right. The screen was broken and glass was starting to chip off. The iPhone still worked but it was definitely in rough shape much like the owner after a long day at the 7s. He quickly got on his computer and looked for a service in Dubai that could fix the glass on his cracked iPhone. He found us, gave us a call, and within a couple of hours we met him and replaced the screen on his iPhone 4S.